It’s the most wonderful time of the year! The air is getting colder, the elves are hard at work and Santa’s reindeer are raring to go and deliver presents to the good boys and girls. 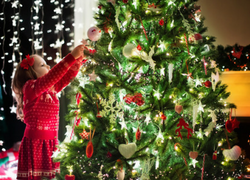 Most importantly, families are partaking in one of the holiday’s most beloved rituals: decorating the Christmas tree. 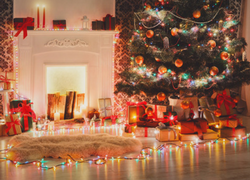 Whether your family opts for a 10-foot tall tree or a modest 3-footer, a synthetic lookalike or an authentic fir, the one thing we all can agree on is that a properly-adorned tree requires lights. 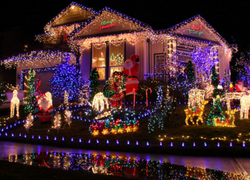 One of the top benefits of LED holiday lights is their energy efficiency. 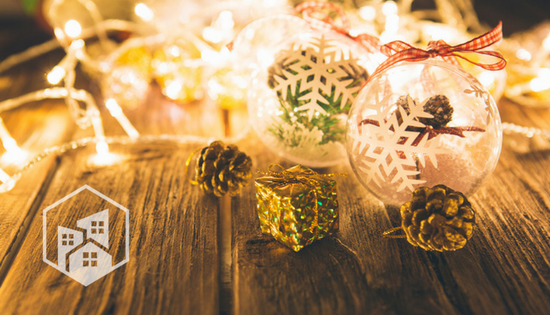 Unlike traditional incandescent bulbs that waste up to 90% of their energy as heat, LEDs waste almost no energy through heat, putting it all toward producing the signature twinkle and shine that we expect from our holiday lights. 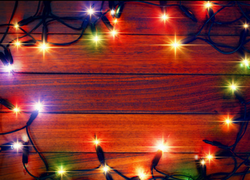 Using energy-efficient LED Christmas lights will not only help you save on the season’s energy bills (money you can instead put toward a Barbie Dream House or Xbox), but it’ll also minimize the strain on your home’s electrical system so you won’t blow a fuse every time you plug in your decorations. We know what you’re thinking: “Why spend more on LED holiday lights when the old ones work fine?” Well, they may work fine for now, but LED bulbs have an average lifespan 25 times longer than incandescents, which means they’ll keep your Christmas tree aglow through the new year – of 2025. As an added bonus, the LEDs’ lenses are made from much stronger materials than those used in incandescents, so they are more resistant to breaks and cracks from trees toppled at the hands of sugar-crazed kids. Go ahead and string them up inside and outdoors – the LEDs’ durable plastics make them waterproof and weatherproof. Are your old holiday string lights looking duller than your neighbors’? It’s no trick of the light; LED bulbs produce a brighter, purer color than incandescents. This is because incandescent light is not naturally colored – the color comes from the bulb. LED bulbs, on the other hand, actually emit different colored light. Whether you stay traditional with red and green, prefer a simpler white light, or a mix of the entire color spectrum, LEDs will deliver the holiday feel you’re going for. In order to make the most of your Christmas tree’s magic, you have to hide that extension cord around the back. But chances are, you’re already tired of crouching down and crawling through fallen needles to unplug and re-plug in your Christmas tree lights several times a day. If that describes you, then take advantage of technological improvements with smart LED holiday lights. Just tell Alexa or Google to turn on your tree, or flip the metaphorical switch yourself through your phone app; you’ll go from “Bah Humbug” to “Merry Christmas” in no time! How is Rainwater Harvesting a Green Endeavour?